Often misleadingly called the Dark Ages, the period between the fall of Rome and the Renaissance was a time of great creativity. The Middle Ages gave rise to some of the world's most enduring and influential literary works, including Dante's Commedia, Chaucer's The Canterbury Tales, and a large body of Arthurian lore and legend. This reference is a comprehensive guide to literature written between 500 and 1500. 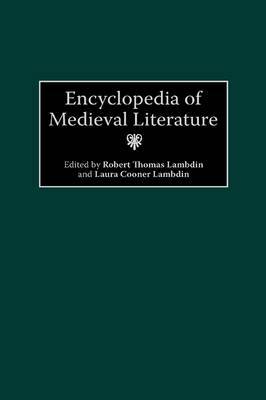 While the volume is primarily devoted to the early literature of England, it also includes entries for historical persons and subjects of cultural relevance which would have been discussed in literary works or which might have affected their creation. Multicultural in scope, the book also covers Islamic, Hispanic, Celtic, Mongolian, Germanic, Italian, and Russian literature and culture of the Middle Ages. Longer entries provide thorough coverage of major English authors such as Chaucer and Malory, and of entire genres, such as drama, lyric, ballad, debate, saga, chronicle, and hagiography. Shorter entries examine particular literary works; significant kings, artists, explorers, and religious leaders; important themes, such as courtly love and chivalry; and major historical events, such as the Crusades. The entries are written by scholars and each entry concludes with a brief bibliography. The volume closes with a list of the most valuable general works for further reading.